On our FirstLook of the M-Edge folio, we used it to put together a portable prototyping studio and was amazed at the amount of stuff the M-Edge Method could carry. 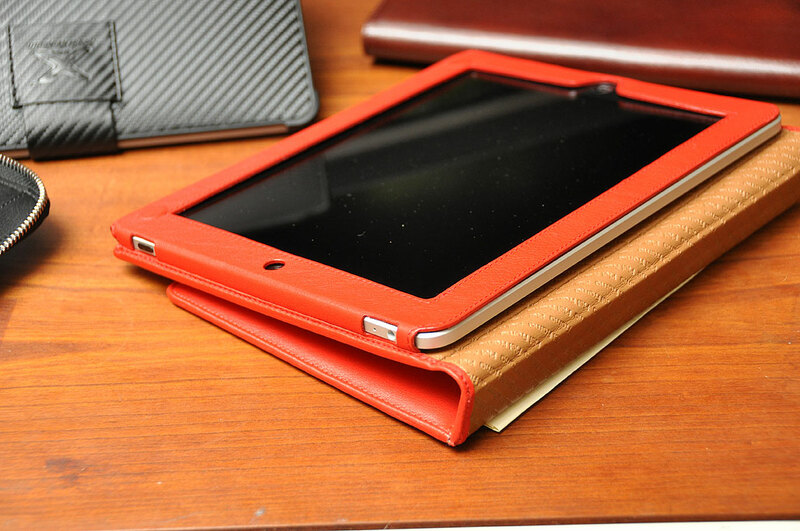 The interesting thing about this folio is the center iPad holder. The iPad sleeve is also a dual-side mount. This arrangement allows for a lot of different possible configurations depending on how you like to work. 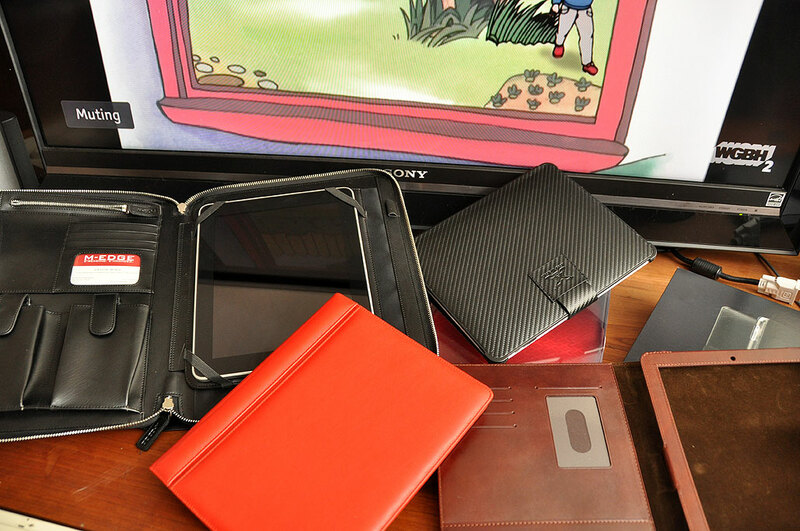 Like any good folio, there are also lots of extra pockets for cables, credit cards, etc… For those looking to carry a keyboard with their iPad, this is definitely the folio to get. The side pocket is sized to accommodate the Apple wireless keyboard and had no problem taking our Anycom Bluetooth unit. If you like to carry a few more items in your folio, but don’t need the capacity of the M-Edge Method, then this Sena unit may be just right. 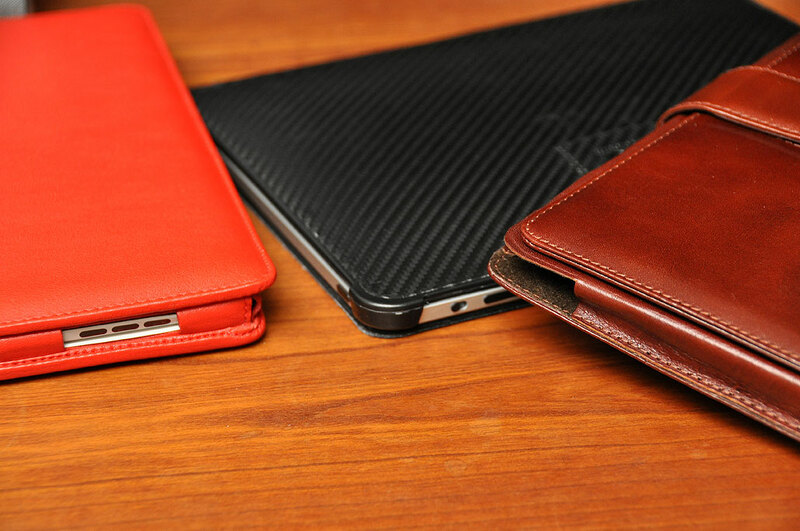 We like this case because it struck the perfect balance of form and function. There are slots for credit and business cards, a small pocket for slightly bigger pieces of paper, and an integrated stand. This Sena folio comes in black as well as brown. Many like black for it’s “all-business” look, but we are partial to brown because of its rich warm tone. 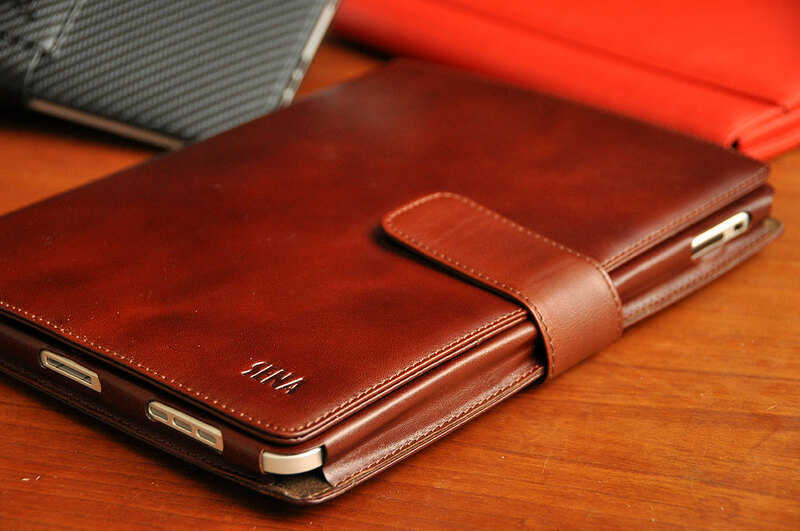 In our view, a brown leather cover conveys friendlier “win-win” attitude. Not everything in business has to look intimidating! You can still take them to the cleaners in the negotiation, but it nicer when you look friendly when doing it. The XGear folio is the minimalist in the crowd. This case made our Best-Of-Breed list for a several reasons. It is thin—thinner than both the Piel Frama and the Sena— and covered with carbon fiber. 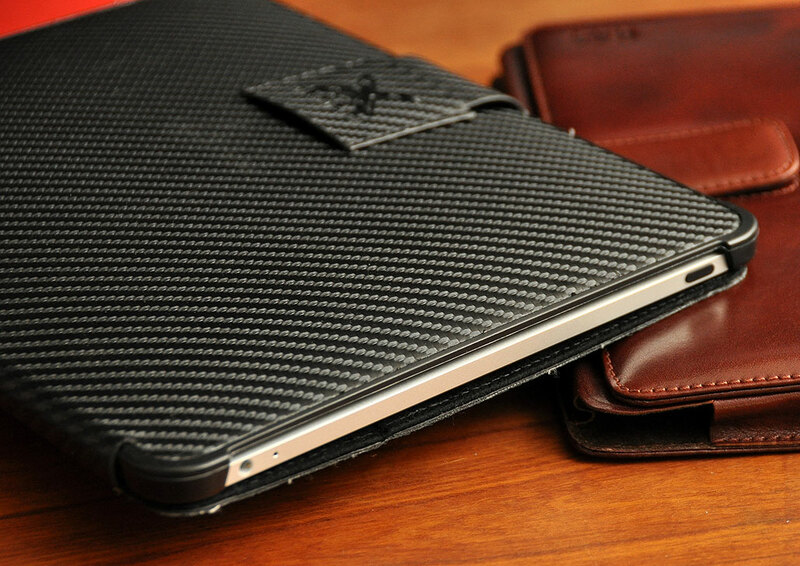 If you want a black folio, this carbon fiber-covered folio will both fit-in AND stand out. This XGear folio will work well for both left or right-handedusers as the iPad may be placed in the case in either orientation. When Apple introduced the iPad, they positioned the device as something we would use when we want to do some web-surfing, video watching, or eMailing. The commercials always had folks leaning back, putting their feet up, and relaxing with their iPads. However, many have found the iPad is an ideal device for web-surfing, video watching, and eMailing when they were work as well. In fact, as future iPads get more powerful, we expect that they will displace the laptop as the device of choice for many professionals. That would certainly be true for us, as we spend all day surfing the web, watching videos, emailing each other and calling it “work.” So, when you need to dress up your iPad for work, suit it up in a folio and get it ready to take on the world.